December 24, 2018 By Carlos C.
What can anyone say about 2001: A Space Odyssey that hasn’t been said before? It’s a tough call. I recently attended a 50th anniversary screening of the film, remastered on 70mm under the supervision of avid admirer Christopher Nolan, and the experience was as memorable and unique as watching it for the first time on a small TV in my parents’ bedroom circa 1986. Few cinematic visions feel as idiosyncratic as 2001: A Space Odyssey, a movie that’s equal parts narrative experiment, existential exploration, and technical marvel. It is, rightfully so, one of the most influential works ever made, sitting at the very top of the best sci-fi motion pictures of all time. Dr. David Bowman (Keir Dullea) aboard the Discovery One. It is also one of co-writer/director Stanley Kubrick’s most complete artistic achievements. The film is split into three (I would argue four) distinct sections or “movements,” making it feel much like a symphony. The first opens to Richard Strauss fanfare from Also sprach Zarathustra (1896) and takes place millions of years ago in Africa, as a tribe of great apes is visited by a black monolith of unknown origin which instills in them the knowledge to create weapons. Watching this sequence again made me appreciate just how groundbreaking it is, with its flawless use of makeup, costumes, and practical effects. It’s so realistic, you might think Kubrick traveled back in time to capture it. The story then catapults forward to the year 2001, through the use of a now legendary match cut from a spinning bone in the air to an orbiting satellite: The apes have evolved into Homo sapiens, and their modern tools have allowed them to conquer space. To the tune of Johann Strauss II’s The Blue Danube (1866), we see a spaceship docking with a station above Earth. Dr. Heywood Floyd (William Sylvester) has been sent to the Moon to investigate a similar monolith that has been found near the crater Tycho. As he and a team of scientists analyze the monolith, it emits a high-pitched signal that takes us eighteen months later aboard the spacecraft Discovery One, bound for Jupiter on a journey to find the target of the transmission. 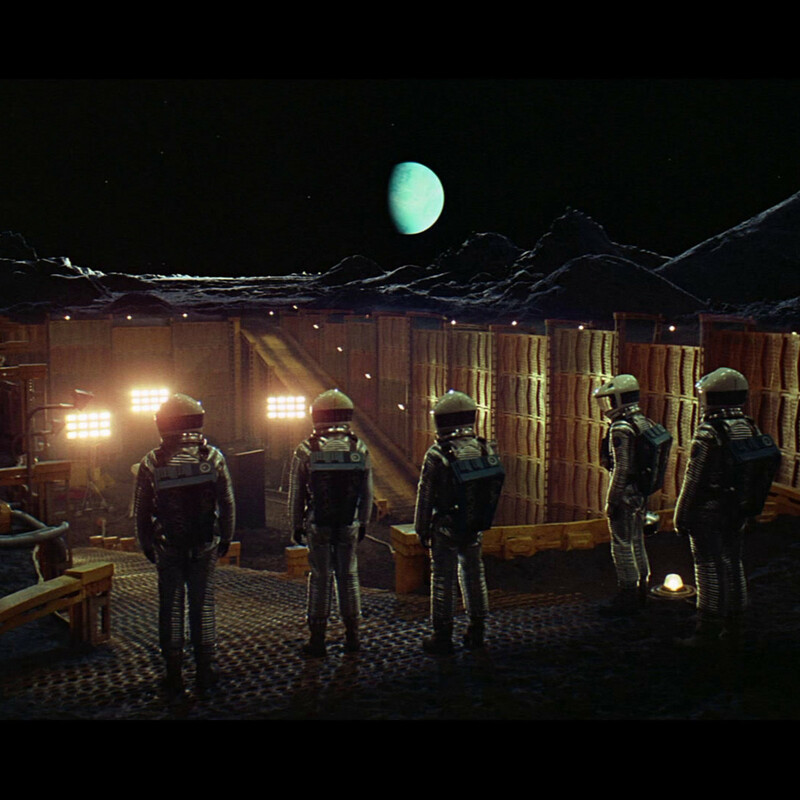 Scientists examine the monolith on Tycho. As everyone probably knows, it is during this chapter that the ship’s computer, HAL 9000, malfunctions (or does it?) and kills the whole crew. Kubrick turns 2001: A Space Odyssey into a suspense flick about a sentient computer that can read lips and anticipate human moves – much has been discussed about the actual chess game in which HAL, playing against mission pilot Dr. Frank Poole (Gary Lockwood), apparently tricks him into resigning the match. Indeed, HAL becomes the film’s main antagonist until the only surviving astronaut, Dr. David Bowman (Keir Dullea), figures out a way to disconnect it. In the final section, Bowman leaves Discovery One to inspect a giant third monolith orbiting Jupiter. And here we are treated to a trippy journey through a space portal, ending in a neoclassical home where Bowman sees – and becomes? – older versions of himself until he is transformed into a… fetus. We then see the fetus floating above Earth, until it turns and looks directly at the audience. Fade to black. 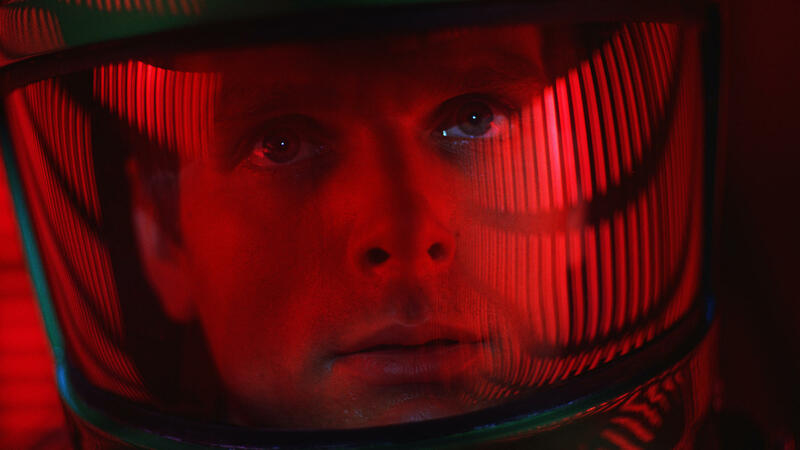 Interestingly, watching the 50th anniversary screening – probably my sixth or seventh viewing – I suddenly realized that 2001: A Space Odyssey has one major issue in terms of narrative logic: The third act with HAL. I had always assumed that the monolith in Jupiter had somehow incited HAL to sabotage the expedition. But that hardly makes sense. It seems evident from the introduction with the apes, and then again by its transcendental climax, that this is a film about evolution: A more advanced civilization is pushing humanity along. Therefore, it must want Discovery One to reach Jupiter, presumably so that the next evolutionary leap can commence (perhaps that’s what happens to Bowman). So then what’s the purpose of the HAL storyline? Bowman enters a new plane of existence. In co-writer Arthur C. Clarke’s novelization, published after the release of the film, he makes clear that HAL goes haywire due to an internal programming conflict. But even that was really the reason, in purely narrative terms it’s a subplot that doesn’t fit together with the rest of 2001: A Space Odyssey. I suspect that both Kubrick and Clarke thought it was a thought-provoking question that had parallels to the monolith/evolution theme. What if machines could advance to the point they no longer needed the humans who created them? It’s still a provocative idea, even more so today as we get closer and closer to a world where artificial intelligence is no longer science fiction. I also imagine it’s no accident that the performances from Lockwood and Dullea are so robotic and emotionless: It allows Kubrick to present HAL as the most human character of all. Strategizing how to fulfill its duties, pleading not to be deactivated, and singing Daisy Bell to comfort itself as it “dies” (a reference to early IBM speech synthesis). 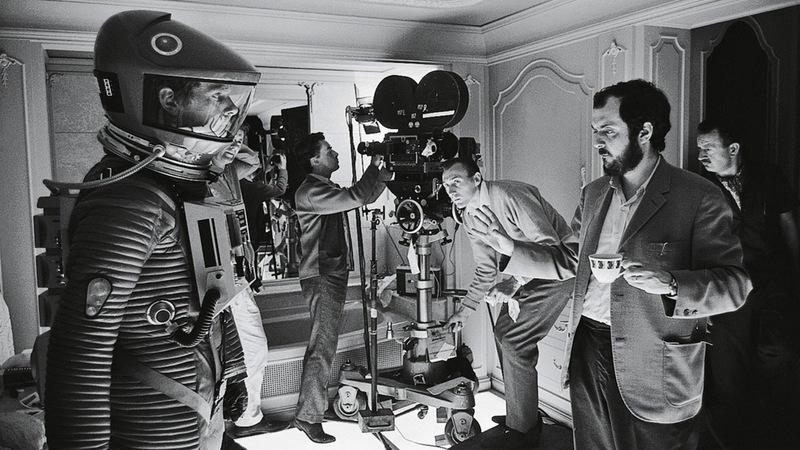 Keir Dullea and writer/director Stanley Kubrick on set. HAL is definitely the most memorable thing of 2001: A Space Odyssey, and that’s ultimately its biggest problem. Had the whole sequence not been so drawn-out, might it have linked better to the film’s overarching theme? Who knows. Kubrick, a methodical and fastidious director, left things vague on purpose, and it’s still fascinating to watch. There’s also no denying 2001: A Space Odyssey is filled with his usual observations about life, in particular the anti-war views he’d explored earlier in Paths of Glory (1957) and Dr. Strangelove (1964): Humans have one basic desire, and it is to kill one another (Clarke has confirmed that the orbiting satellite was intended to be a nuclear warhead, and The Blue Danube is also the name of the first British atom bomb). 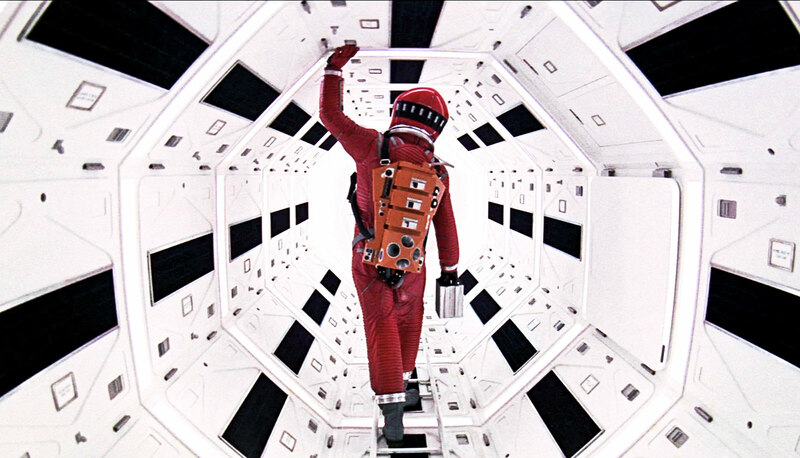 Is 2001: A Space Odyssey Kubrick’s best work? I don’t know. I’d probably go for A Clockwork Orange (1971). But it’s definitely close. There really was no way of measuring up to the standards of the original, and so – to its credit – the sequel 2010: The Year We Make Contact doesn’t even try. Based on Clarke’s own 1982 novel, the film picks up the action nine years later. The world is on the brink of war between the United States and the Soviet Union, but even so a joint Russian-American crew is sent to Jupiter to dock with Discovery One and find out what happened. Among the crew is Dr. Floyd (this time played by Roy Scheider) and HAL’s creator, Dr. Chandra (Bob Balaban). As they investigate, they start to realize there are signs of life on Jupiter’s moon Europa. The disembodied Bowman (played again by Keir Dullea) contacts Floyd, acting as an emmisary for the alien intelligence behind the monolith: Something wonderful is going to happen, and the astronauts need to leave at once. The movie ends with the creation of a new sun that will allow life to evolve in Europa, and also serve as an inspiration for humans to live in peace. How quaint. Dr. Heywood Floyd (Roy Scheider) confers with the Russian crew aboard the Leonov. 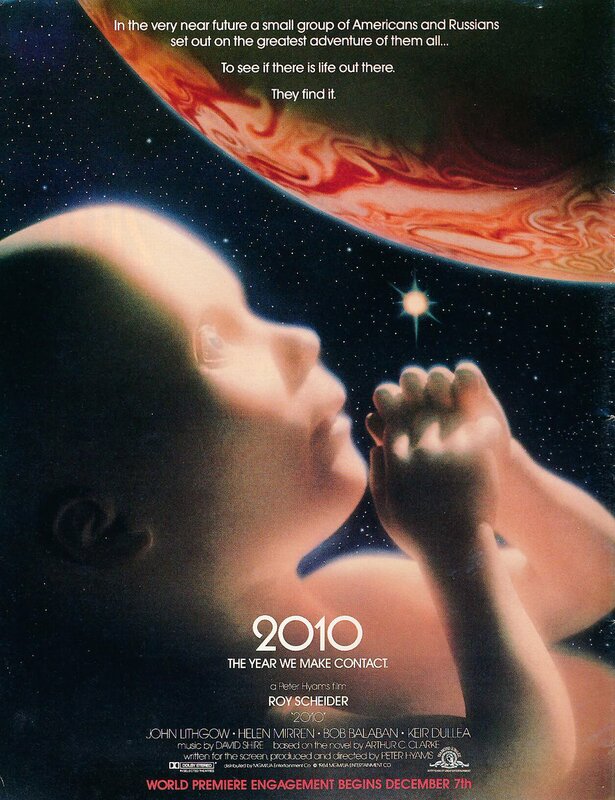 2010: The Year We Make Contact is a reductive sequel, lacking in the ambiguity and thoughtfulness of Kubrick’s classic. Sometimes it’s even downright silly, such as when Bowman’s ghost-like presence says goodbye to loved ones on Earth. It also continues to make little narrative sense with what we’ve seen before (I imagine that Clarke, free from the philosophical underpinnings of Kubrick, was happy to retcon Bowman into a glorified assistant). But despite all of this, 2010: The Year We Make Contact is a consistently engaging Hollywood thriller in the style of writer/director Peter Hyam’s prior efforts Capricorn One (1978) and Outland (1981). If you can just separate it from 2001: A Space Odyssey, there is much to like here, including solid acting, great cinematography (also by Hyams), and several tension-filled scenes that keep you on the edge of your seat (a dangerous orbital maneuver around Jupiter and a final “will it or won’t it” confrontation with HAL are worth the price of admission alone). I think Roger Ebert put it best in his 1984 review: “Once we’ve drawn our lines, once we’ve made it absolutely clear that 2001 continues to stand absolutely alone as one of the greatest movies ever made, once we have freed 2010: The Year We Make Contact of the comparisons with Kubrick’s masterpiece, what we are left with is a good-looking, sharp-edged, entertaining, exciting space opera.” Plus, Roy Scheider. I rest my case. If only we could get a monolith to pay us a visit before we destroy the Earth, now that would be something. Great review, this movie made a huge impression on me. I was 9 years old when I first saw this in 1969 and it blew my mind then. I never get tired of seeing this amazing work of art. All the innovative techniques so far ahead of his time. Among the many articles I’ve had the chance to read about 2001, this one brings an unique point of view and a couple of thought-provoking questions that are not in the others. Thank you for that. It also made me want to give 2010 another chance. Let’s see. About HAL’s intentions, I think it wants to sabotage the mission… for the humans, because it thinks we don’t deserve or we’re not ready for the encounter with the monolith. HAL wants this new contact with the more advanced civilization for itself. After all, although we created him, we’re inferior.